Directed by Chris Bendall, The Queensland Theatre Companyâ€™s The Magic Hour explored a dark and sometimes comic twist on fairytales. The magic and enchantment of the well loved European bedtime stories by the Brothers Grimm, with folkloric fantasy characters including Rapunzel and Cinderella, was swapped for wicked short stories that were powerful enough to make the audiences skin crawl. The Magic Hour was for â€œâ€¦the mothers and stepmothers, the grandmothers, the sisters and daughters and their imaginary missing or suppressed counterparts in those fairy tales from so long ago,â€ said Bates. 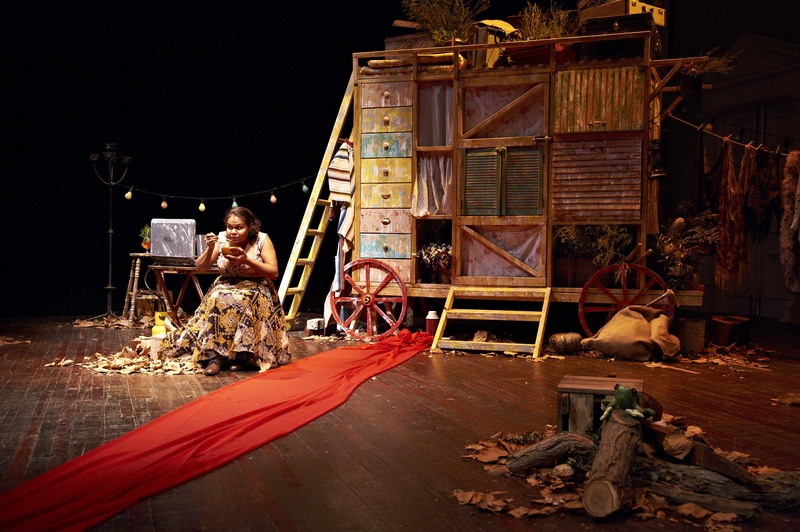 This was conveyed throughout the performance as Australian actress and Singer Ursula Yovich revealed the tales of the stepsisters, neighbors and grandmothers who sat on the sideline of the famous childrenâ€™s fairytales. Replacing a magical prince charming was a stalker, and a widowed mother was given distressing reasons for the loss of her husband that are existent in todayâ€™s society. Acting solo, Yovich held the attention of the audience as each story took a new turn. Yovich impressively adapted from a vulnerable young woman to a wicked stepmother and an envious sister. As she continued to interact with the audience in front of her, Yovich created a genuine storytelling environment. As an adults only performance, The Magic Hourâ€™s wicked retelling of fairytales left the audience entangled in a web of dark comedy while highlighting social issues of the world in which we live. 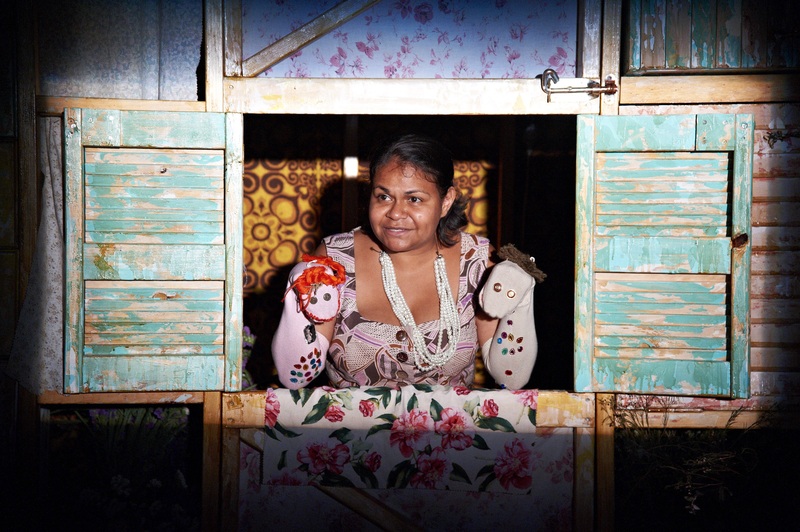 The Magical Hour, Queensland Theatre Company. Photography provided by Kath Rose Publicity.